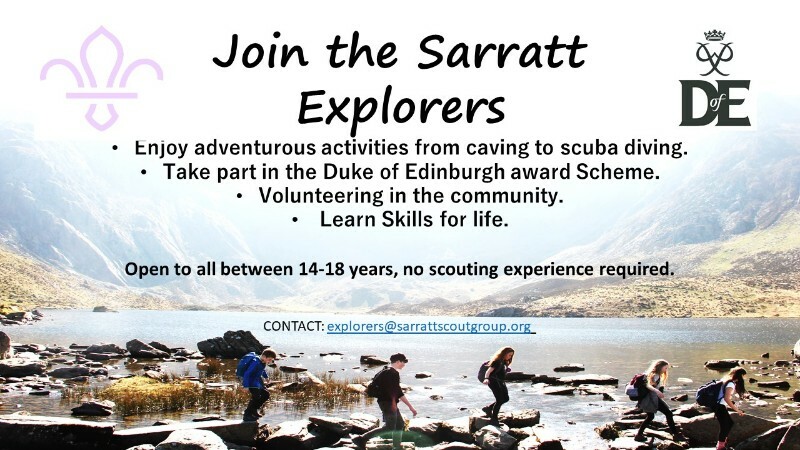 ‘Sarratt Explorer Unit’ and the meetings take place every Monday from 19:30 – 21:00. The Explorer Unit is open to all 14-18 year old boys and girls from the area. The Unit meets on Monday evenings from 19:30 – 21:00 and is designed to be Explorer led with Leader assistance. As well as offering a wide range of outdoor pursuits, we also run the Duke of Edinburgh Award Scheme alongside the Explorer programme. The Explorer Young Leaders help the other Section Leaders with their meetings, as well as volunteering in the community and are great role models for the younger members of the Scout Group. We are keen to grow the Explorer Unit within the Village, so if you or anyone you know would like to get involved please get in touch using the email address below. The Explorer Unit’s aim is to allow our young people to enjoy the outdoors, learn new skills and develop existing ones. You do not need to have any scouting experience to join the Unit, we have a great programme that will teach you all the skills you need!